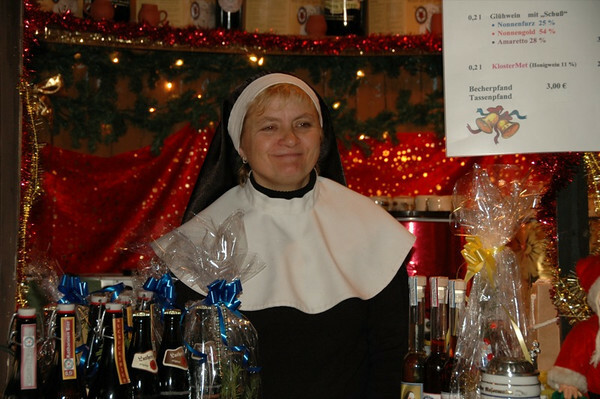 This nun works one of the gluhwein (spiced wine) and beverage stands at the Neustadter Christmas Market. She represents a convent and monastery that brews beer and other drinks and spirits such as mead and punch. A poster of Martin Luther hanging just over the wine taps holds watch over the evening's affairs. 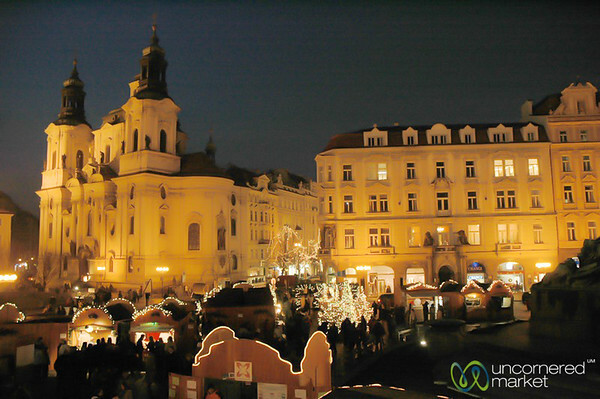 Read more about European Christmas Markets and Reflections on Dresden's Christmas Market. 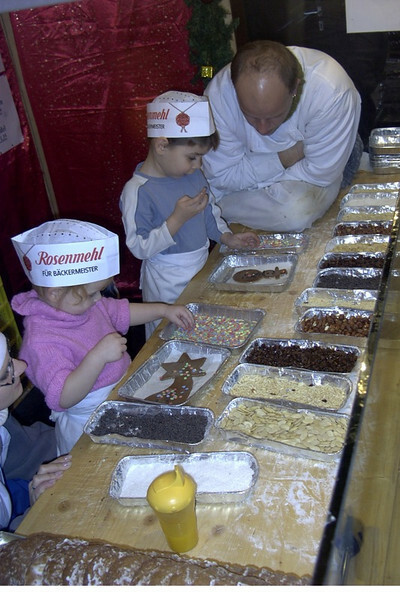 Three busy bakers work the Stollen booth at the rear of the Striezelmarkt all day long. This man was responsible for shaping the dough and weighing each batch (and its invidivual ingredients) to ensure equal weight and consistency with the other loaves. Read more about European Christmas Markets and Reflections on Dresden's Christmas Market. Read more about European Christmas Markets and Reflections on Dresden's Christmas Market. If, as you stroll the Christmas market, you are overcome by the smell of incense, it's likely coming from one of Germany's famous smoking men. A cone of incense is usually placed inside the base or back of the figure and lit, allowing the smoke to escape through its mouth. Smoking men, often kept company by the more well-known nutcrackers, come in many varieties and often portray some type of profession or activity (e.g., woodcutter, baker, gardener). 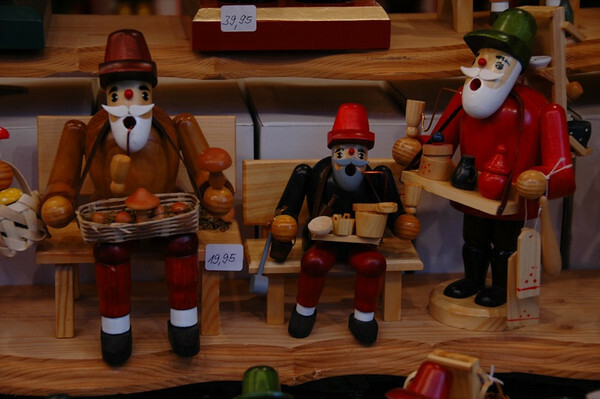 Read more about European Christmas Markets and Reflections on Dresden's Christmas Market. 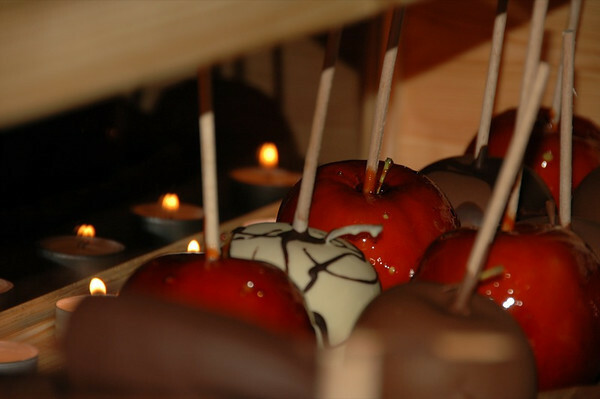 Candied apples dressed in caramel and chocolate await the happy mouths of children and adults alike. 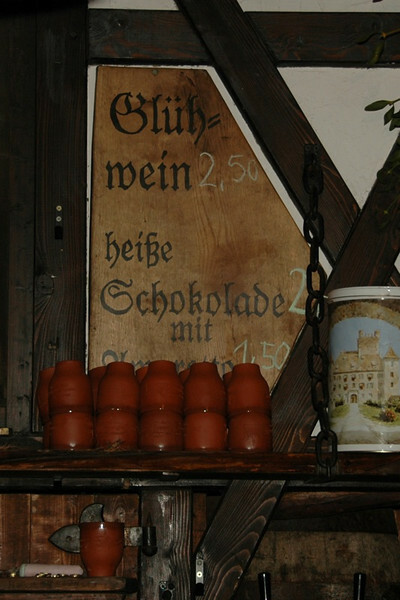 We're told that the German Christmas tradition knows no shortage of candy and chocolate. 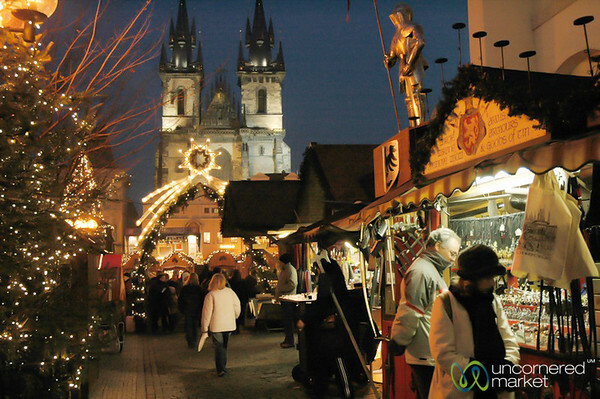 Read more about European Christmas Markets and Reflections on Dresden's Christmas Market. 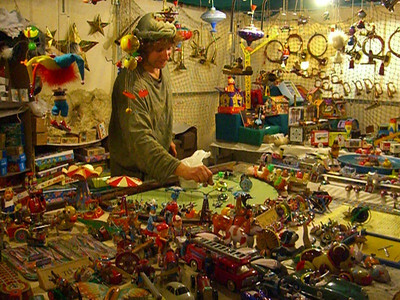 Known as the Advent Spectacle, the Christmas market in the courtyard of the Royal Palace is the most unique of all the Dresden markets. Dimly lit by firelight, it offers a cozy, realistic, old-world feel. 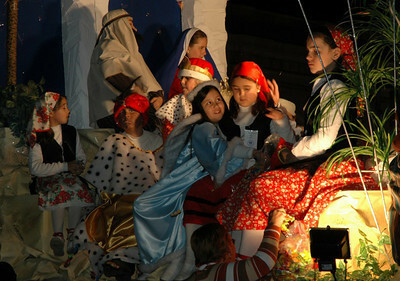 The stalls are built in the style of the Middle Ages, with food, dress and activities to match. 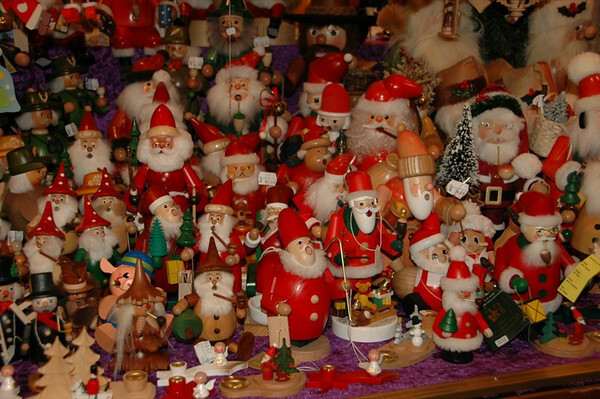 When we query Dresdeners about their many Christmas markets, we are urged not to miss it. 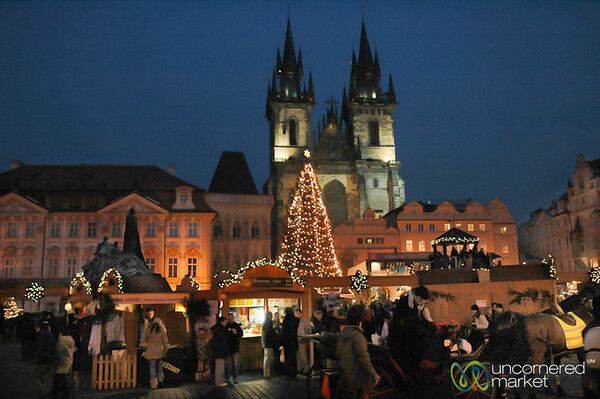 Read more about European Christmas Markets and Reflections on Dresden's Christmas Market. No German Christmas market is complete without gluhwein (hot spiced wine). As locals catch an evening drink with their colleagues on tall wooden tables and visitors wander the market, the sweet smell of spice permeates the air and all can be seen hand-hugging their mugs to ward off the winter chill. At the end of the evening, you can either keep your mug as a souvenir or return it for a refund. 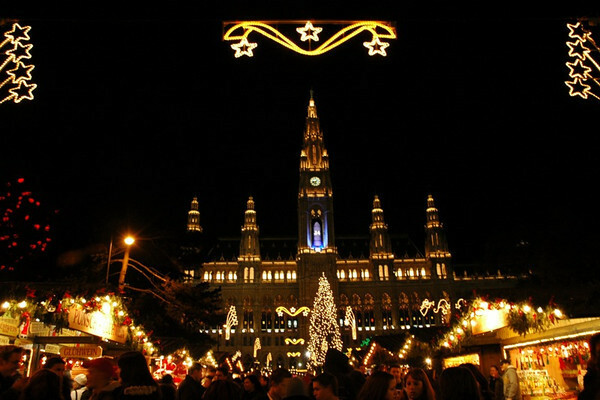 Read more about European Christmas Markets and Reflections on Dresden's Christmas Market. 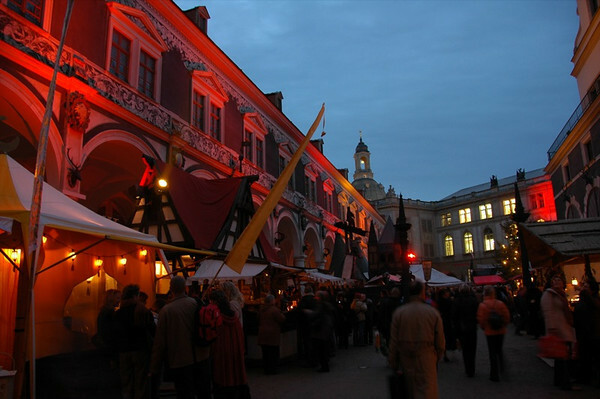 In addition to the main Christmas market on the Old Town Square, there are several neighborhood Christmas markets including this one at Namesti Miru (Peace Square), where locals drop by day and night to shop, spend time with friends, and fill up on svarak (spiced wine), sausages, nuts, and sweets. 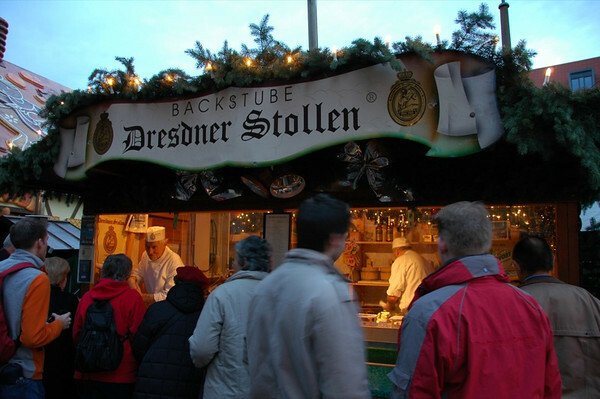 Read more about European Christmas Markets and Reflections on Dresden's Christmas Market. 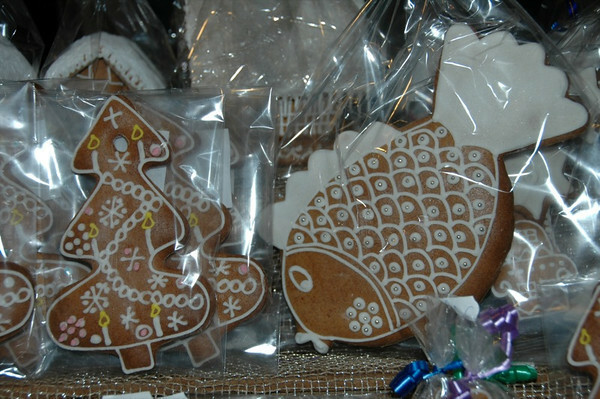 Prague Chrismas markets are bursting with decorative gingerbread cookies. 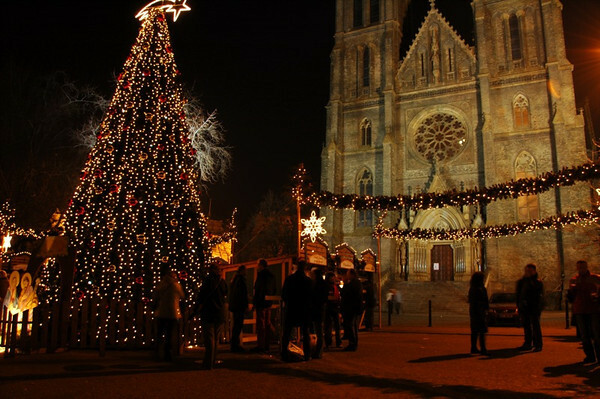 The fish is a carp, the most recognized Czech Christmas symbol, as Czech families eat carp and potato salad as their Christmas evening meal. About 10 days before Christmas, large plastic tubs of water loaded with fresh fish swimming around appear on every other street corner. Families choose a fish from the tub, and have the choice to take it home alive and allow it to swim around the bathtub until Christmas Eve arrives. Read more about European Christmas Markets and Reflections on Dresden's Christmas Market. 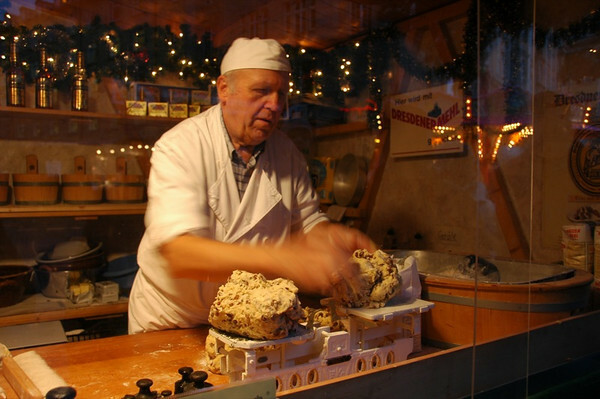 Stollen, originally known as striezel (from which the market takes its name), is a traditional Dresden Christmas sweet bread. It is full of raisins and other candied or dried fruit and topped with powdered sugar. Many bakeries and stalls sell the cake already packaged, but the bakers in this stall put in a full day baking it fresh - gathering the ingredients, carefully shaping and weighing the dough and baking the loaves a wood-fired oven. 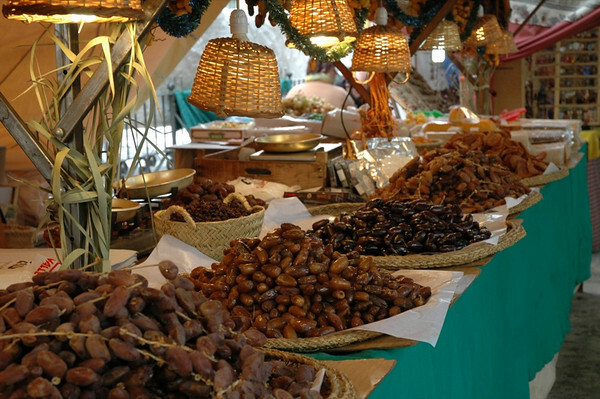 Its sweet smell wafts through the market, drawing crowds all day long. Read more about European Christmas Markets and Reflections on Dresden's Christmas Market. So many smoking santas to choose from. Read more about European Christmas Markets and Reflections on Dresden's Christmas Market. 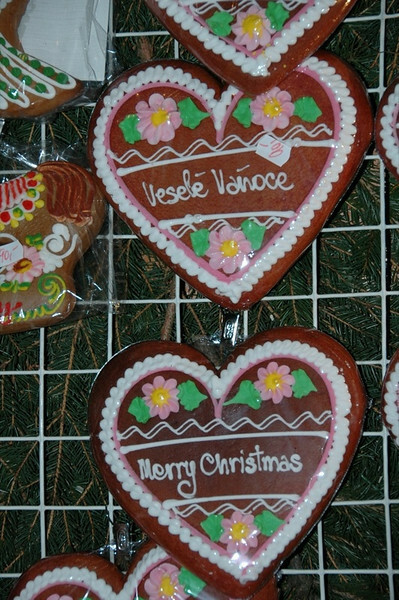 Czech Christmas greetings (with English translation) brought to you in the form of traditional Czech gingerbread, from the Old Town Christmas Market in Prague, Czech Republic. Read more about European Christmas Markets and Reflections on Dresden's Christmas Market. 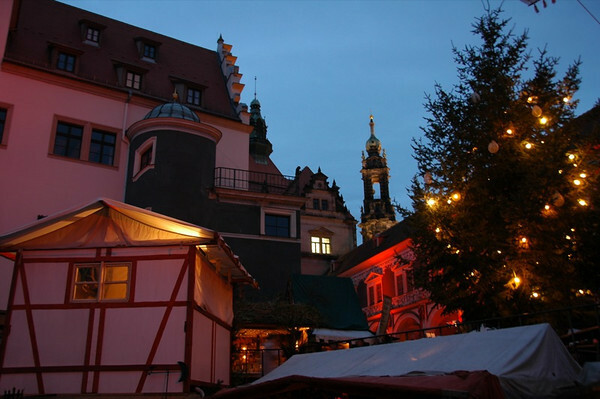 A romantic moment of twilight as dusk settles in on Dresden's Medieval Christmas Market. Read more about European Christmas Markets and Reflections on Dresden's Christmas Market.